Cruise vacations are one of the most popular choices for family and multigenerational travelers. Many of today’s newest cruise ships are designed to be incredible vacation destinations for families with kids of all ages. Ships are filled with thrilling attractions, high-energy activities, awesome kids and teens clubs, and programs the entire family can enjoy. Exciting ports of call and shore excursions add to the appeal. 1. Involve the kids in your vacation planning. Making all family members part the vacation planning process is key to a successful vacation. It helps to generate excitement about the cruise vacation and enables kids and teens to get more out of the experience. It also helps to surface specific vacation expectations, along with insights on the activities and programs that every member of the family will enjoy. 2. Talk with a great cruise travel advisor. Researching and planning a cruise vacation can consume hours of time checking websites, booking engines and message boards for insights and deals. While there’s tons of information available on the Internet, it can be hard to determine how accurate it is and how it pertains to your specific needs. A top cruise travel advisor can quickly provide you with all the information you require and usually it’s free of charge. While some travel agents charge fees for planning land vacations, most cruise travel advisors do not charge a fee for making cruise bookings and their commissions are paid by the cruise lines. Talk with several travel agents who specialize in cruises to find one that best fits your needs. If you’re interested in a specific type of cruising experience, such as a river cruise, look for an agent that knows that niche well. Sites like CruiseCompete.com can also help family vacation planners find good cruise travel advisors and shop for the best deals. 3. Review your itinerary choices. Cruise lines offer a wide variety of destinations and itineraries from which to choose. Talk over the itinerary options with your family and select one with plenty of port stops and lots of exciting excursions activities that will appeal to your entire family’s interests. If beaches and/or water sports are very important, look for an itinerary packed with ports offering these features. Discuss shore excursions options in advance and keep your children’s schedules and stamina in mind when selecting tours. In certain ports, a private guide can be the best choice for families. 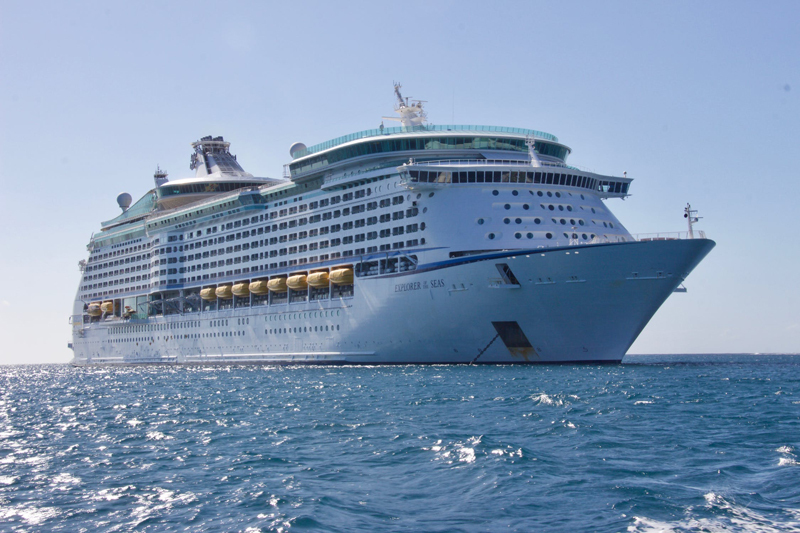 No matter what itinerary you choose, plan to arrive at your embarkation port at least a day before your cruise starts to cut down on travel snafus and stress. 4. Pick the right ship. A great family vacation destination offers something for every age group and interest. Choose a cruise ship with lots of activities for kids, teens and families to do together. If your kids to be physically active, look for cruise ships that offer a wide variety of activities on board such as massive water parks, glow-in-the-dark laser tag arenas, race car tracks, ropes courses, surfing simulators, bumper cars, miniature golf courses, bowling, rock climbing walls, and basketball courts. If you’re cruising with little ones, make sure your ship caters to families with young children. 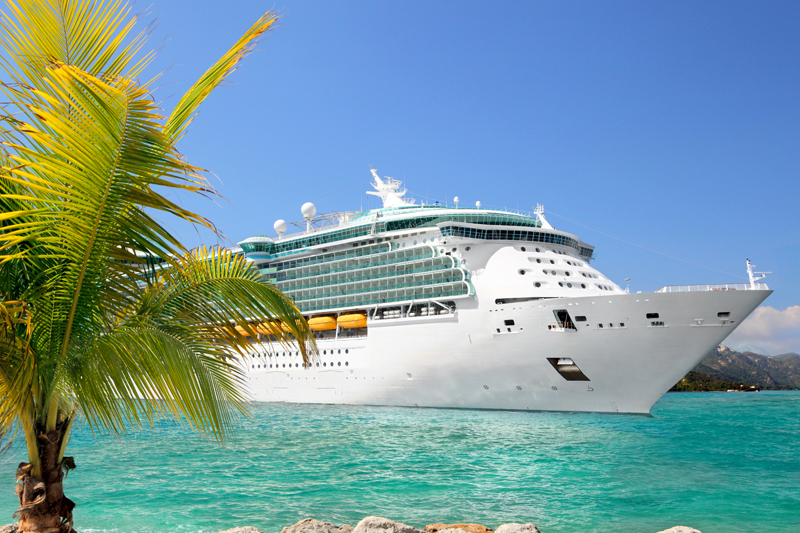 A good cruise travel advisor can help find the ships that best fit your needs. 5. Choose accommodations with plenty of family room. Families and multigenerational groups are looking for vacation options offering plenty of room to spread out. Cruise lines are catering to families by providing a wide range of options on many of their newer ships. In addition to connecting cabins and staterooms that sleep four, some cruise ships now offer flexible modular connecting cabins that will accommodate up to ten people as well as staterooms for families of five, mini-suites and suites for families and much more. Carnival Cruise Line’s unique Family Harbor area on Deck 2 of its newer ships features specially designed staterooms for families and its own private lounge. MSC Cruises and Norwegian Cruise Line also offer all-inclusive VIP boutique-hotel-within-a-ship options for families seeking privacy, luxury and attentive service. 6. Research kids and teens programs. Major cruise lines have excellent programs for kids of all ages. Cruise ships facilities can differ significantly though, so research the types and sizes of kids clubs on board. If you have children under the age of three and want to use children’s programs, make sure your ship offers attractive options. Make sure to be aware of the age categories for the kids and teens programs on the various ships you’re considering. Cruise lines have different ways of grouping children by age. Their policies allowing siblings of different ages to be in the same kids program also differ as well. It’s helpful to talk with a knowledgeable cruise travel agent to get their insights on the best ship for your family’s age groups. 7. Check out the family activities. More families are seeking out great ways to have fun together on their cruise vacations. Cruise lines are responding with a wide range of programs and activities including Broadway-style entertainment, spectacular deck parties, game shows, cooking classes, character interactions, family-friendly comedy shows, and movies under the stars. Finally, make sure to reserve something special. Let every member of the family choose one thing that they'd like to do on your cruise. This will allow everyone to feel more involved and will get the vacation off to a great start. If you have a tight budget, explain that at the outset and set a dollar figure for how much activities can cost. Let the kids do some research on the Internet to find things they will enjoy. If you’re interested in specific shore excursions or enjoying great meals in your ship’s specialty restaurants, reserve those before boarding your ship.